If you want to watch live NFL football online you are in luck because it is a simple two step process using Wiziwig.? If you are not familiar with Wiziwig it is a website (formerly known as MyP2P.eu) that is a forum that has sports fans share links with each other as to where to watch live sporting events and matches online.? The forum offers more than just NFL football, as there are boards for baseball, basketball, hockey, soccer, and more, but NFL football is definitely the most popular sport and there’s always a ton of links on each NFL Sunday that tell you where you can watch all the live football games. How Wiziwig works is that people will share links to games that they found streaming live online.? A moderator will test the links to ensure they are valid and not broken and not spam and about an hour before kickoff the moderator will release the links to everyone in that day’s thread.? Some of the members there not only share links with others but they are the actual streams of the NFL football games.? They use popular P2P streaming applications, the most popular being Streamtorrent and Sopcast, so there is a chance you will need to install these onto your computer.? Don’t worry, both are free software programs which you can download online. The reason why watching football online has become so popular and resulted in sites like Wiziwig popping up is because the NFL does not offer people many options to watch football games.? You can usually catch 2 or 3 games each week on you local cable television channels but that is really the only option you have unless you want to spend big bucks.? You could purchase the NFL Ticket package from Direct TV, but if you are not a Direct TV customer than you need to first subscribe to Direct TV and then purchase the NFL ticket on top of that.? The cost for last year solely for the football package was I believe in the $400-$500 range.? That is a good chunk of money for most people so instead of spending that people began to come online looking for ways to watch live football for free on the internet. There are some differences which you should know about between paying for the DirecTV football package versus watching games online.? By paying, you will get access to 100% of the games (except the Thursday night games) and they are all shown in HD.? If you watch football online you don’t have this same guarantee.? Usually with the help of Wiziwig (site can be found at forum.wiziwig.eu) you can watch on average 90% of the games.? I would estimate that about 50% of the streams are in HD quality while the other half of the streams would be in 720p or less.? Once in a while a stream can cut out during the middle of a game.? Don’t fear though because usually they are multiple backup streams listed on Wiziwig.? So if you have $500 to spend and want the guaranteed reliability than DirecTV may work well for you.? 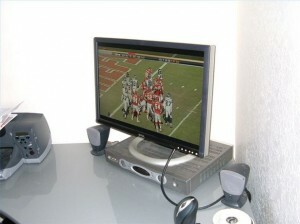 If you are on a budget and don’t mind having a little crapshoot than you can try to watch live NFL football online.? Good luck watching the games! WIZIWIG is no longer worth using as it has been crammed so full of spam that the game cannot be seen. No fix is available that I know of. If you do, please post.